Oklahoma Connection | A transplant from Taiwan, Tang came to Oklahoma State University in 1955. Tang's discoveries have led to breakthroughs in such diseases as stomach cancer, hypertension, AIDS and Alzheimer's. Tang holds the J.G. Puterbaugh Chair in Medical Research at the Oklahoma Medical Research Foundation, where he heads the protein studies research program. 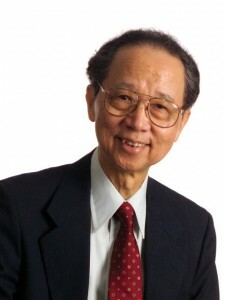 Tang came to Oklahoma from Taiwan in 1955 to attend Oklahoma State University, where he earned a master’s degree. Later, he received his Ph.D. from the University of Oklahoma and completed postdoctoral training at the Laboratory of Molecular Biology in Cambridge, England. In 1957, Tang joined OMRF, where he became one of the world’s leading experts on proteases, a group of proteins crucial to human health. Over the next 51 years at OMRF, his work has led to a deeper understanding of these vital proteins and to a new treatment for HIV/AIDS, hypertension and, most recently, an Alzheimer’s drug that is undergoing human clinical trials. Tang has lectured and taught at 50 universities on five continents and has published more than 200 articles in the world’s leading scientific journals. His research has been recognized and honored by the Guggenheim Foundation, National Institute of Health, Chinese Academy of Sciences and the United Nations. He is the only Oklahoman ever to receive the Alzheimer’s Association of America’s highest research prize: the $1 million Pioneer Award. See pictures of Jordan J.N. Tang and other media HERE.